CineMAA Awards 2016, CineMAA Awards 2016 Complete Winner List: CineMAA Awards 2016 was organized with a grand event in Hyderabad. The winners of the CineMAA for the year 2016 have been announced and NTR starrer blockbuster Temper has swept all the awards in all major categories. 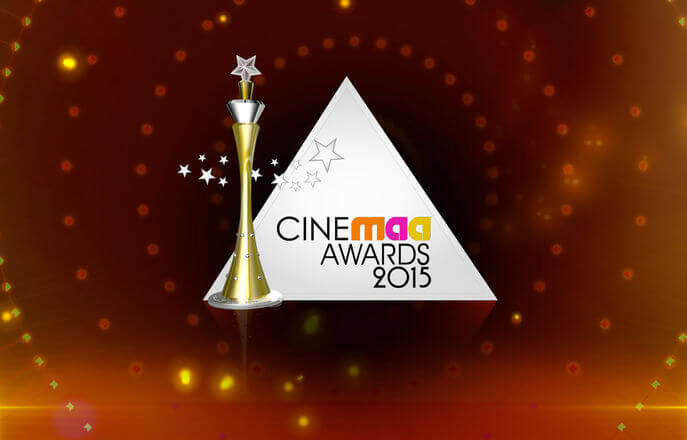 CineMAA Awards 2016 is an Annual Award function organized by Movie Artists association to honor technical excellence and artistic of professionals in the Telugu Film Industry. Best Background Music: Chirantan Bhatt. Best VFX -Srinivas Mohan for Bahubali. Best Art Director: Sabu Cyril for Bahubali. “About 170 films were released in the year 2015. The best talent will be given away the awards in various categories. Regardless of whether an artist/technician is an established one or a newcomer, CineMAA Awards has always lived up to its conviction that the creator of the best output alone should be awarded. As part of STAR India Pvt Ltd, MAA TV is going to hold the awards ceremony in a grander way this year. Besides being considered highly prestigious, CineMAA Awards have always bettered its standards and quality year after year. This year, the awards function is going to be a never-seen-before event. Happening heroines and the heroes who have got a permanent place in the audience’s hearts are making efforts to participate in the event,” the organizers say. Share your comments about CineMAA Awards 2016 Complete Winner List.